Few things are more fun than getting dressed up (a little), bidding your loved ones (you know, the ones you live with and pick up after) adieu (for a few hours at least) and hitting-the-road-Jack for supper out with your bestest girlfriends. And to get to dip bites of food into gooey cheese and various other dee-lish sauces for 2+ hours is a bonus. 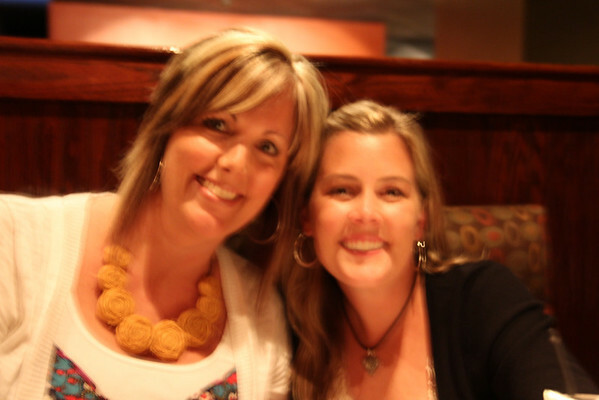 and then Heather popped over to sit with me so I wouldn't be all by my lonesome (again, sorry for the blur). Heather and I had never been to The Melting Pot before so Kim gave us the scoop on how things worked and which sauces she had tried. First up was a cheese and appetizer course. We decided to try the Wisconsin Trio which was a yummy cheese blend (with the added tang of bleu cheese) and dipped chunks of bread, tart green apple wedges and veggies to our hearts (and tummies') content. Who knew it was so much fun to dip food in cheese? Oh it is, it is. After a small salad (topped with more bleu cheese, yum) we moved on to the main course. We tried not to be grossed out by having a plate of raw meat placed before each of us, which truth be told was a little unsettling. On the left we had beef, pork, chicken and shrimp, in the middle was the most delicious corn and black bean stuffed ravioli ever, followed by vegetables on the right. We decided on something called the Mojo sauce, because really, how can you resist something that promises you good mojo? We followed a pattern of 1.) stab meat with skewer 2.) dip in sauce to cook for 1-2 minutes 3.) 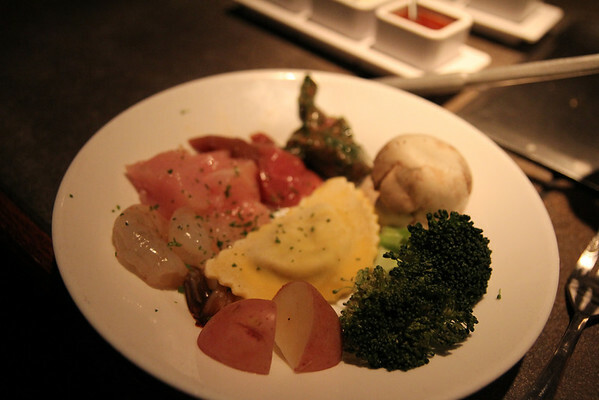 occasionally toss in some vegetables 4.) eat and 5.) repeat until plate was empty. The main course took the longest since you had to wait for your food to cook (the nerve!) but we didn't mind because it gave us plenty of time to chat and laugh and chat some more. We realized, much later, that since we each had three skewers we could have each cooked more than one piece of meat at a time and then possibly felt like we were actually eating a real meal instead of piece meal. Get it--piece meal? BWAHH haha. It was a totally different meal experience to cook your food at your table, cut up a piece of meat into the most bites you could to make it last longer, dip it into the delicious sauces, finish the last bite and really want another right stinkin' now and quickly realize you had to cook your next bite all over again. But a very tasty bummer. Our fondue extravaganza ended on a high note, dessert fondue. As in dipping assorted sweets into melted (only briefly flaming) turtle chocolate. Scrumptious, is what it was. There were rice krispie bars, cocoa covered marshmallows, brownies, bananas, strawberries, pound cake and even cheesecake. 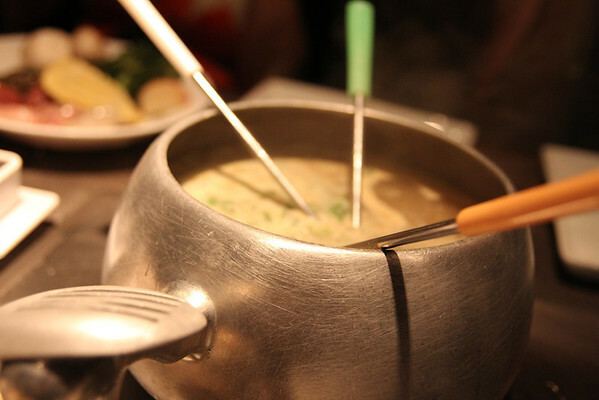 And yes, we ate every last morsel and would have even licked the fondue pot if it hadn't been so hot (but we scraped it as thoroughly as we could). Good thing I wore my maxi dress. 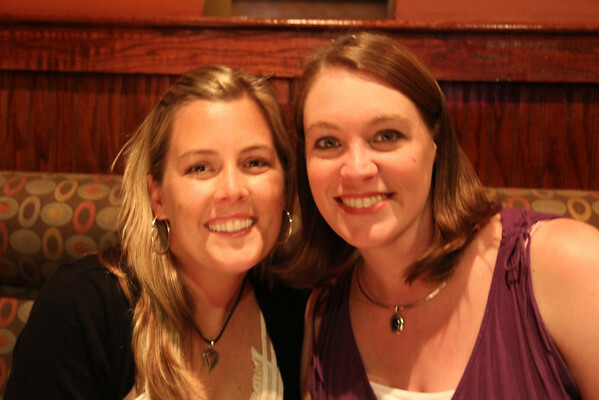 Good friends + hours of chatting + giggling + a three course fondue adventure = a perfect girls' night out! When can we go again? Call me. 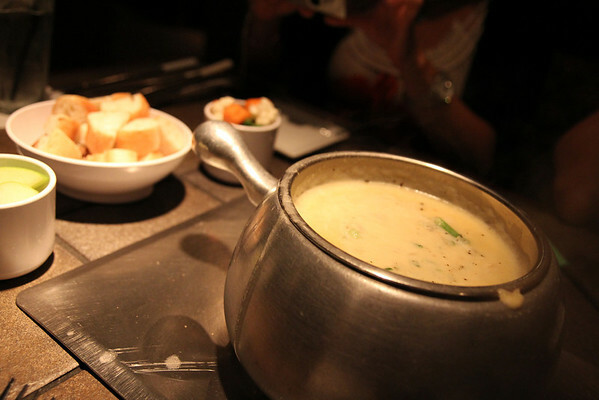 I love the Melting Pot! We only go about once a year though because it's so expensive. I think dipping makes just about anything better! I feel the same way about using a flash and often end up accepting blur over the artificial clarity that comes with a flash! 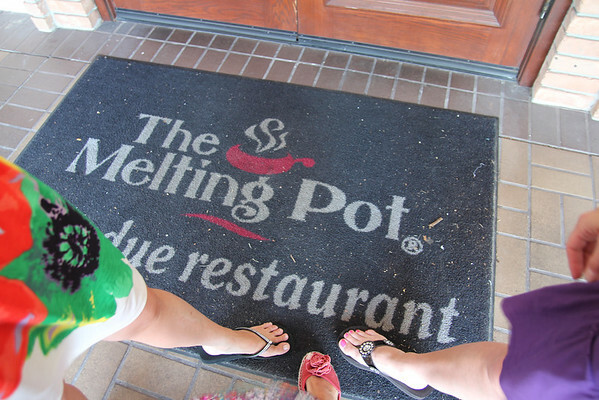 I have never been to the Melting Pot but know it's something I would love. 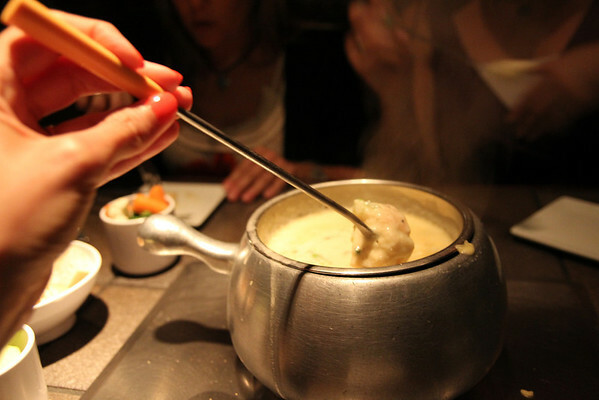 I love fondue & the melting pot does not dissapoint!! I am thinking I need to fondue at home soon....? The dessert is amazing! Oh, I am licking my lips right now! You just planned my next indulgent date night. We'll have to make it a special occasion but it will happen. I'm practically drooling already. I also tried to blog about it but blogger does not like me today. Have you had trouble lately? Oh well. Yours was so much more fun to read. ha! I would give my right arm for some of that chocolate today. Well, maybe not my arm but man, was it GOOD! haha! 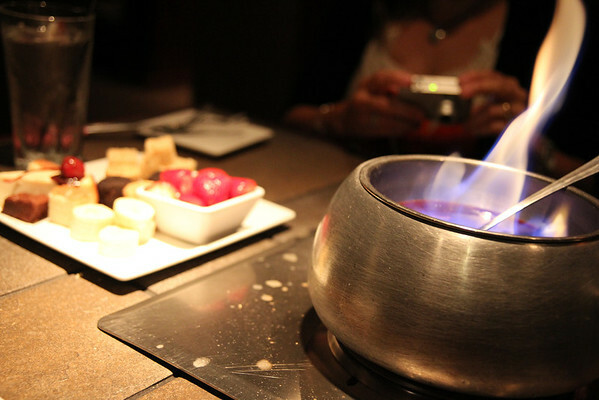 I love The Melting Pot but you have to go with people you like since you're there so long :) It's perfect for a girls night out. Thanks y'all, it sure was a fun night.